JJ Divers is a scuba and snorkeling company that takes tourists out snorkeling to see coral, sting rays, turtles, and sharks. Or join them for a beginners’ scuba dive, which requires no experience, or get scuba training under the PADI system, or go on advanced dives. It’s run by Jacob and Jacqueline Jamieson, who flip the script on what diving is about. 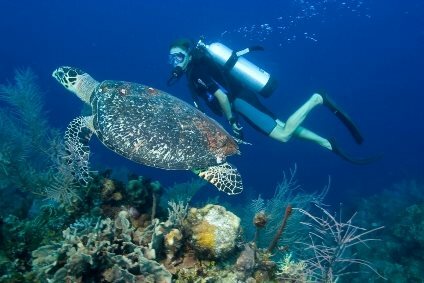 Most enthusiasts get into scuba tours just as a hobby, and then work out how to connect with customers later. Jacob and Jacqueline (who goes by Jax) spent 20 years in Las Vegas in the hospitality industry, and then decided to jump into scuba tours. It shows in the way that they interact with their “guests”. “I say guest, but they are family,” Jacob told us. “I have never liked the word ‘customer’. It just sounds cold to me.” They have a dive shop in the Havensight area of Charlotte Amalie, where the cruise ships dock, and will soon open one at the Crown Bay cruise ship port. When researching our trip to St. Thomas, where I wanted to get scuba certified, Jacob and Jacqueline became friends even before we met, responding instantly to messages and going the extra mile to help me understand the process. Scuba training has many components; having JJ Divers guide us was essential to our understand all its pieces and getting it all planned. Learning scuba is about as difficult as learning to drive a car, but before you know whether you’ll love it, you must invest quite a bit of time. You’ll go through book learning, watching videos, taking tests, and taking “confined dive” courses, which means in a safe area such as a pool or in shallow standing water at a beach. Then you’ll go through “open water” dives, which is when scuba starts to get fun. The open water dives are mainly meant to ensure that you genuinely learned something in your previous training. 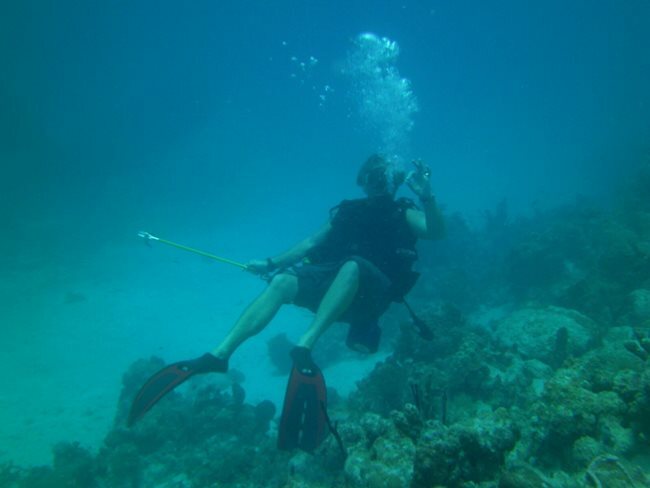 You’ll need to perform a few simple emergency techniques, such as sharing air with a partner underwater, that you should never need if like me you only intend to dive as an amateur with a knowledgeable guide assisting. JJ Divers was kind enough to invite me along for my final open water dive leading to certification. Meanwhile, my guest came along for snorkeling at the surface, on the same boat, and to the same ocean location. Their laid back manner in no way reduces the sharpness of their tour. Everything about our trip was crafted to be efficient, and we wasted no time waiting at any point in the trip. Our scuba instructor, PJ, put us at ease by joking around, but reading between the lines, we were getting every inch of the appropriate safety instructions, but in a more fun way rather than a classroom way. While seeming completely at ease, PJ, Jacob, and Jax kept an eagle eye on safety, and spotting the mistakes that we made even before we knew that we’d made them. Thankfully, we met JJ Divers at a dock, so that boarding the boat was as easy as stepping off the pier, instead of walking over sharp rocks. The boat was clean, small and intimate. Each year they sell off their old gear and replace it with new equipment, so that you’ll never have to worry about rough edges or wear. Perhaps that’s why my flippers fit much better at JJ Divers, despite my giant feet, whereas elsewhere I had got welts on my feet, and had an attachment on the side of a fin that came off two dives in a row. As with other tours, they only provide snacks instead of a real meal, so that you don’t feel bloated. The dive and snorkel site that JJ Divers took us to was the same general area that we’d visited with Aqua Adventures for one-man submersible vehicle diving. From there you can just see a part of Puerto Rico on the horizon. While you can never guarantee that large sea creatures will show up for your dive, but we were lucky enough to see some sharks at a distance. We also saw some medium size fish, a stingray close up, and a ton of coral. When I didn’t have the right camera equipment, they had a deep dive camera on board and were generous about adapting to my crazy press requests for video and photos. It’s hard to overstate how comforting that is. When getting customer service from professionals, sometimes I feel their anxiety, if they are overly formal and guarded, or their boredom, if they are lax or uninterested in the details of comfort. With JJ Divers instead we got a glimpse into real island living, joining their family for a time. They spoke with us like they’d known us for a while. They showed genuine enthusiasm that was infectious. They understood that their guests are thrilled, and reflect that thrill back to them. This creates an instant camaraderie that helps newbies over any anxiety. JJ Divers offers a wide variety of unique and creative tours. They teach children, and have a “Discover Scuba Diving” course that takes place in shallow water and requires no experience. You can go on a Shark Dive Adventure to get up close to the dogs of the sea. (The sharks in these waters, we were told, are tame.) 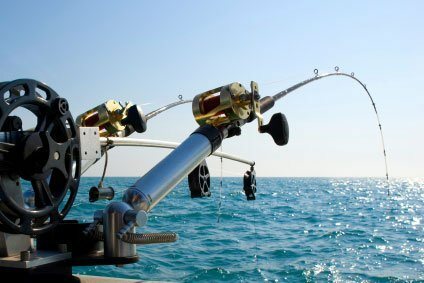 Or they’ll take you hunt lobster and lionfish. I don’t mean with lobster traps. 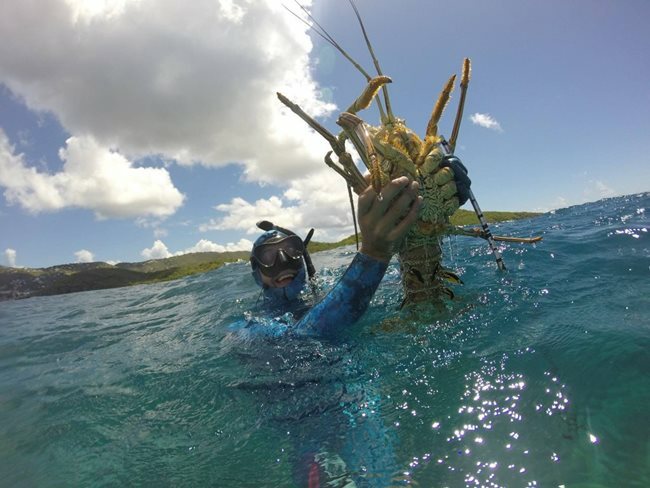 You scuba dive, you find lobster, and you basically grab them! (Or spear them.) That’s so insane. 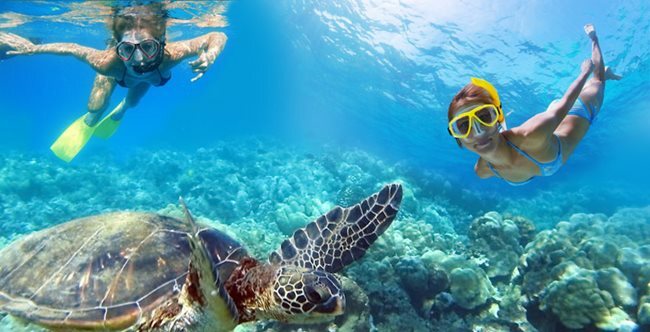 Of course you can just go snorkeling without scuba, on an inexpensive tour that includes unlimited drinks, including sunset cruises. You can get trained as a rescue diver, dive instructor, or divemaster. 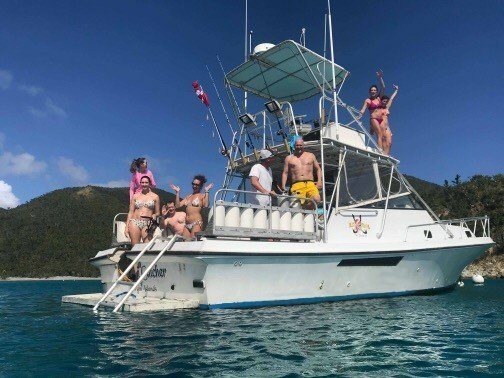 They also offer private charters to the British Virgin Islands, to go fishing, or snorkeling to the rarest and least known places. They even offer a treasure hunt, as I learned during an interview with Jacob. Events INSIDER: What do you say to a tourist who’s interested but afraid to try scuba? Jacob Jamieson: You gotta do it. You gotta try it at least once. I mean, if you’re an adventurer, an adrenaline person, you will love to get under the water and see what the world is like. It’s a completely different world underneath there. If it’s not for you, it’s not for you, but at least try it. My fear is to be a 70-year-old man, sitting on a rocking chair somewhere going, “Damn, why didn’t I try that?” So try it. You gotta try it at least once. Events INSIDER: How is JJ Divers different or better than other dive guide services? Jacob Jamieson: Because we take care of our folks. When you’re diving with us, you’re like family. You’re not just another diver on the island. You’re our family for life. Events INSIDER: There’s definitely more panache and congeniality brought to the safety instructions. It feels less like work and more like fun. Jacob Jamieson: We’re not down here doing brain surgery or rocket science. We’re here making memories for you, and that’s what it’s all about. It’s not about the business, it’s not about the money, it’s about having the biggest baddest experience. It’s about making memories that last forever. Doing things together. Events INSIDER: What’s next for JJ Divers? Jacob Jamieson: We just expanded with a second boat, this one a catamaran. We’re doing a tour we call “The Last Real Caribbean Adventure”. 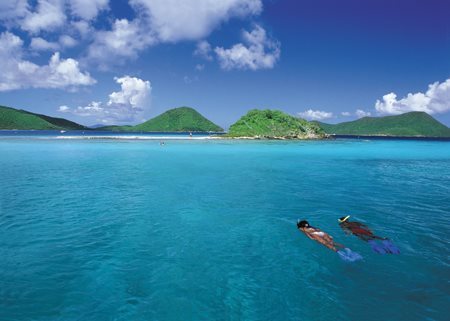 That’s a three- to five-day charter down through the British Virgin Islands, St. Maarten, Saba, and St. Barts . Let’s just say we’ll find some interesting artifacts that begin our adventure. Remember the old murder mysteries, like the movie Clue? Imagine that but only on a catamaran. Events INSIDER: So it’s like a three-day vacation, but the tourists are with you the entire time, and you go looking for aquatic life? Jacob Jamieson: We go looking for the treasure of Jean Hamlin, who was a big pirate that was down here. He was really good friends with Captain Morgan. He supposedly has a ship, down here, wrecked, so we go out looking for that ship. It’s always my goal as a travel writer to go beneath the tourist industry and get to know the “real” place that I’m visiting and to meet “real” people. It happens rarely, and we were glad to join Jacob and Jax on their adventures. I’ll give JJ Divers my rare 5 stars PLUS, making them the best snorkel and scuba dive company in the US Virgin Islands. During my scuba certification cameras were not allowed, but on our fun dive, we got some video with JJ Divers of my trying to show the Events INSIDER website to a sting ray and to a shark!